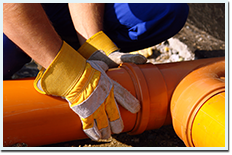 Sewage problems are a very unpleasant problem we come across. It’s not only an unpleasant problem but one that can cause severe damage to property- it being furniture and objects in your home, and also one that can cause damage to the actual structure of the building. The first thing we think of when we hear or even think of sewage problems is the terrible stench. The stench is also often our first sign that we are dealing with sewage and not water. 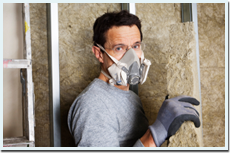 Unfortunately this smell is not only very unpleasant and very hard – close to impossible, to get reed of, it is also an indication that we are facing a serious health hazard. 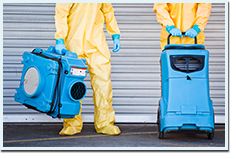 For all the above mentioned and more it is of great importance to respond quickly when we realize there is a sewage problem, it is equally important to have someone highly qualified and experienced deal with the problem. Clearway restoration runs a 24/7 emergency service because we know that time really matters. Our team of licensed, highly experienced workers are equipped with the best available equipment will be at your side in no time, and we know exactly how to get the job done right. 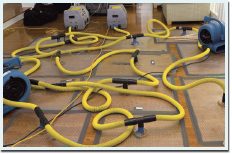 What we do first is get read of the contaminated water, we’ll pump the sewage, and dehumidify the contaminated moisture. Then we must deal with comically disinfecting the contamination caused by the exposure to sewage. This part is of great importance since only the chemical disinfection can deal with very serious health dangers that come with sewage. Once we finish with the cleanup and with the chemical disinfection it is time to deal with objects that might have been affected. Unfortunately some of the objects in the house cannot be restored after being exposed to sewage, the first of them will be carpets, that once exposed to sewage cannot be cleaned, no matter what methods we shall use carpets will stay contaminated to a degree that might be dangerous to residents of the premises. Our team will identify carpets and any other objects that can’t be cleaned well enough and dispose of them. When we finish with your home it’ll be as good as new, we guaranty there will be no smell and no contamination in any of the previously contaminated area.